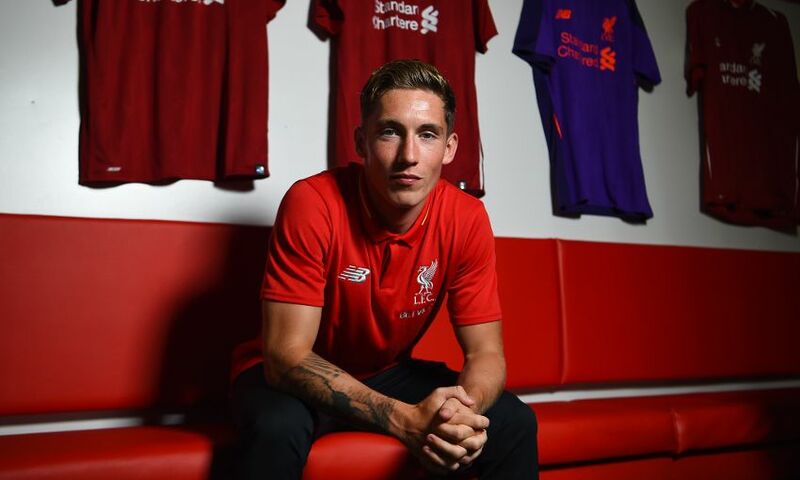 Harry Wilson paid tribute to Liverpool manager Jürgen Klopp's willingness to give young players a chance after putting pen to paper on a new long-term contract with the club. The 21-year-old, who took his prolific form in youth football to senior level during a loan stint with Hull City last season, today agreed fresh terms with the Reds for the second time in six months. Key to his decision was the first-team boss' trust in Academy starlets, which has been evidenced by Trent Alexander-Arnold's recent breakthrough and several debuts during his tenure. Wilson told Liverpoolfc.com: "The manager here has shown in the past that he is willing to give young players a chance and I think the young players that he's given a chance to so far have proved him right. "You look at Trent last season, especially, coming in and doing so well in the team. And for him to give me this contract early on in pre-season, that gives me a lot of confidence and I'm hoping I can keep impressing him in pre-season. "When I moved up to Melwood 18 months or so ago, straight away he made me feel welcome. "He's very easy to approach and, when he talks to you, he gives you honest advice and it makes you feel good because that's what you want when you go and speak to a manager. "You want him to be honest with you, tell you where you are, and he does that, definitely." LFCTV GO subscribers can now watch the Welshman's interview on demand in full below. Alternatively, read on for a full transcript. Yeah, I'm delighted to sign the new deal. When it got offered to me, I was desperate to get everything sorted so I could sign it fairly early on in pre-season because I want to focus on playing football. So, now this is sorted, I feel I can do that and push on and try and impress. It does and that's why I'm delighted to sign it, I think it shows the faith the club have in me. The one I signed before going out on loan, I wanted to get it signed so I could go out and prove to people that I could do it out on loan. I felt Hull was a great move for me, I got the minutes that I needed, the goals and assists were a bonus. So, to come back and for the club to offer me a new deal so early on in the pre-season, it's great for me. Five months at Hull, 13 appearances and seven goals - how do you reflect on that period? A massive positive. When Hull came in, although it was late on in the transfer window, I couldn't wait to get out there. It's a great club, the fans were brilliant with me from the start, the management staff and the players welcomed me in and I felt part of the group straight away. So when the games started coming around and I started getting the minutes I wanted, I think everything worked out well. To score the goals I did and [get] the assists and to help the club climb the table a little bit, it was all a massive plus for me. How does scoring a first-team goal or for your country differ to at youth level? No matter what level you score a goal at, it's always nice, it's always a great feeling. But with the fans, when you do score and you hear the fans roar and the joy you bring to them, it makes it extra special. To do it on the international stage, as I did on my birthday as well, that was a special moment. What confidence does it give you to have gone out and scored at first-team level? It definitely gives you a confidence boost. A few young lads might think they're ready then they go out [on loan] and have a bit of a shock. But when you go there, first of all you've got to show the manager that he can trust you in the starting XI in a competitive game to do the work that he wants you to do. Then, when you're there, you've got to enjoy it and try and help the team as much as you can; if you're a defender, that's defending the goal, if you're an attacker, that's scoring them. If you can prove first and foremost to the manager that he can trust you and then when you go out on the pitch, I think it's all good. What about your relationship with this manager, Jürgen Klopp? The manager here has shown in the past that he is willing to give young players a chance and I think the young players that he's given a chance to so far have proved him right. You look at Trent last season, especially, coming in and doing so well in the team. And for him to give me this contract early on in pre-season, that gives me a lot of confidence and I'm hoping I can keep impressing him in pre-season. For people like me, it's great to see the manager is in no rush to get us out on loan when a few people might think that's best. That gives us the chance to get out on the pitch and in training day in day out to be in front of him, try and impress him, and show what we can do. Has he been a constant source of encouragement for you? When I moved up to Melwood 18 months or so ago, straight away he made me feel welcome. He's very easy to approach and, when he talks to you, he gives you honest advice and it makes you feel good because that's what you want when you go and speak to a manager. You want him to be honest with you, tell you where you are, and he does that, definitely. What did you make of Liverpool watching from afar last season? It was brilliant to see how well the team did last season, especially in the Champions League. Although at the end it wasn't meant to be, the performances that we put in and the results we got on the way to the final were brilliant for any Liverpool fan to watch. Going to European nights as a kid and seeing the atmosphere, now to have them back they feel just as special. To be involved in one of those would be a special moment for me. What would you say your aims are for next season? I think my short-term focus is to keep trying to impress the manager day in, day out in training and, the minutes I get in pre-season, try and impress [in] them. Keep trying to score goals, [get] assists, help the team out and then I'm not looking too far beyond that. I feel if I do well enough here, everything else will take care of itself. And what about your international ambitions? Born and raised in Wales, I always wanted to play for my country, and to get my debut at a young age, it made me want it even more. To get my first start earlier on in the year along with my first goal - and I've had three starts since - that has just made me want to stay in that Welsh shirt, be in the team all the time and hopefully take Wales on and on. Delight. To get the contract sorted allows me to focus on football, so I'm really looking forward to the season ahead.